Sentry Hosts Local Congressman Hollingsworth and BIO Health Care Representatives | Sentry BioPharma Services, Inc.
Sentry BioPharma Services recently hosted a round table discussion with Congressman Trey Hollingsworth (IN 9th District) and representatives of BIO and the Indiana Health Industry Forum (IHIF). BIO organized the event as a part of its “535 Congressional Initiative 2017”. BIO is the world’s largest trade association representing biotechnology companies, academic institutions, state biotechnology centers and related organizations across the United States and in more than 30 other nations. BIO members are involved in the research and development of innovative healthcare, agricultural, industrial and environmental biotechnology products. BIO also produces the BIO International Convention, the world’s largest gathering of the biotechnology industry, along with industry-leading investor and partnering meetings held around the world. BIOtechNOW is BIO’s blog chronicling “innovations transforming our world” and the BIO Newsletter is the organization’s bi-weekly email newsletter. 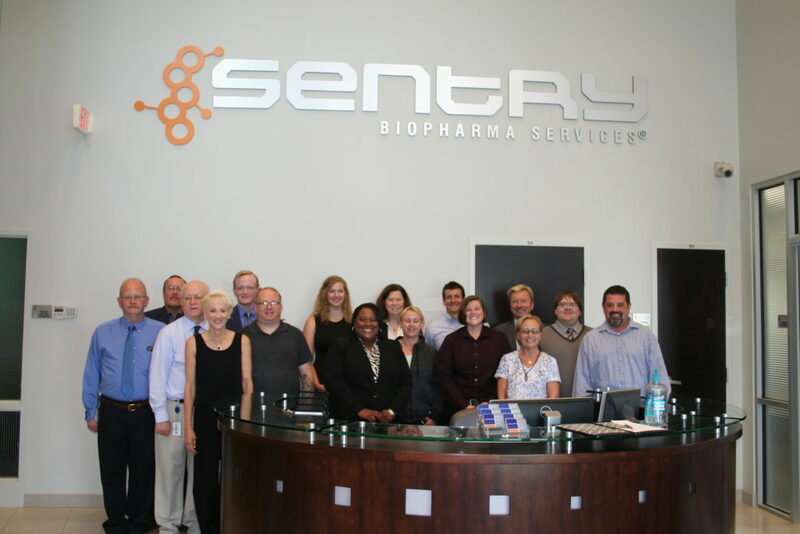 Sentry is a long standing corporate member of BIO. IHIF is Indiana’s statewide trade association representing Indiana’s health science business community. The diverse members of the Indiana Health Industry Forum generate the collective voice of the state’s health and life science industry. IHIF’s mission is to connect key stakeholders to: enhance business networks, advocate for member interests, develop workforce skills, and provide strategic vision in the interest of growing the state’s health industry economy and reputation. About Sentry: Sentry BioPharma Services is a biopharmaceutical contract service provider offering an exceptional regulatory history, flawless quality record and superior customer service with a global reach. Sentry’s FDA compliant packaging solutions and supply chain management services to global pharmaceutical, biotechnology and medical device firms ensure product integrity throughout the pharmaceutical supply chain. Drug development and commercialization require continuous temperature monitoring and control. Sentry’s validated software, GMP storage and distribution facility, industry expertise and stringent quality standards support this objective throughout manufacturing, labeling, packaging, and temperature-sensitive storage and distribution. For more information on how Sentry can help with your pharmaceutical supply chain needs contact us via email or by phone at 1-866-757-7400. This entry was posted in News Post on July 12, 2017 by Sentry.